As a result, hundreds of thousands of youth, adults and families in the Metro Jackson area are receiving the support, guidance and resources needed to achieve greater health and well-being for the spirit, mind and body. As our community’s leading provider of family-based wellness services, the Y is uniquely positioned to help families live healthier lifestyles. From our family-friendly group fitness classes to incorporating physical activity into every one of our youth programs, our Y is committed to making it easier for families in our community to make healthy choices. Studies show that individuals and families with the lowest incomes are considerably more likely to be become obese compared to households with higher incomes. Through our Income-based Rate Scale and other forms of financial assistance, the Y is working to help everyone in our community improve their health and well-being regardless of financial circumstances. Programs such as the YMCA Diabetes Prevention Program, Full Circle and After Breast Cancer all serve to meet the health and wellness needs to individuals and families who most need our help. 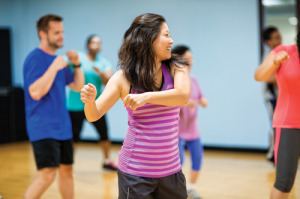 Our Y is also partnering with area health providers to offer medically-based services including physical therapy, nutrition education and cardiac rehabilitation. If the YMCA is going to help our entire community improve their health and well-being, our work can’t begin and end inside our own facilities. That’s why the Y works with community partners and leaders in all levels of government to advocate for public policies and programs that can help everyone in our community stay active and make healthy choices.